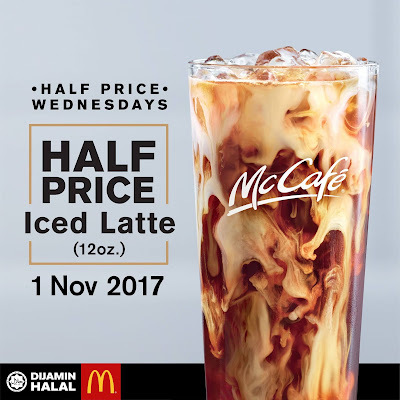 [McCafe® Half Price Wednesday 1 Nov 17] It’s HALF PRICE WEDNESDAY! Enjoy a McCafe® Iced Latte (12oz.) at half the price on 1 Nov 17.